A simple and lore-friendly mod that fill color to main cities map markers. Try it if you want to have some fancy color and still keep the vanilla feel. You can't use Alternative compass file without permission from lavigne77. Main file : Delete duplicate file. New optional file : SkyHUD Patch from Compass Marker Resource v0.51B. Add new main file for SkyUI user. Add option for alternative compass from Less Intrusive HUD II by lavigne77. FOMOD installer. All option in one file. adjust color in main version. add color for Current Location. 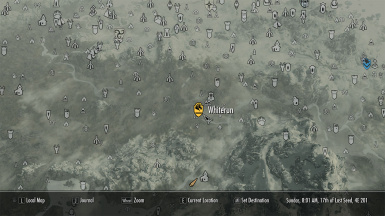 slightly desaturate Falkreath, Riften, Windhelm and Solitude. Fill color to main cities map markers. Simple - Only main cities, No sea of colors. Lore-friendly - Using color match with each city. If you are using SkyHUD. Download patch from optional file section. Install and overwrite SkyHUD. SimpleColor edit map.swf and hudmenu.gfx file. Any mod contains these files conflict with SimpleColor. Not compatible with map markers color mod. It contains map.swf and hudmenu.gfx. It does the same thing as this mod. Choose only one. Partially compatible with HUD mod. It contains hudmenu.gfx. Just load it after SimpleColor. You will get Vanilla compass color. Compatible with a mod that adds new map marker or change map textures. Download from optional file section. Thanks to lavigne77 for giving me permission to use his/her compass in my mod. MisterPete, Forsaken32, Mardoxx - Creators of Colored Map Markers Updated. This mod is an inspiration to me. Very clean and simple. 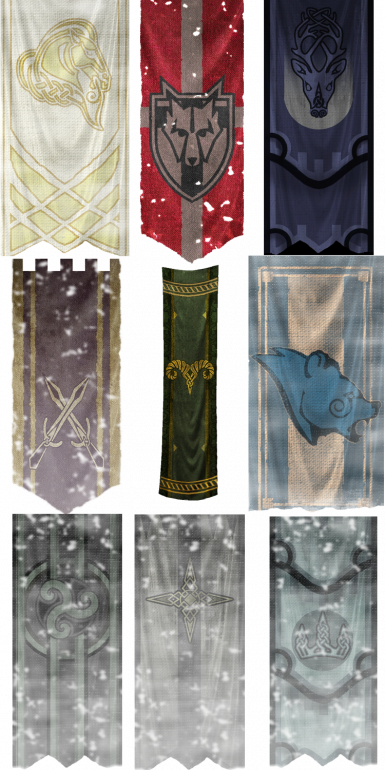 I used their mod for a long time in Classic Skyrim before decide to make my own mod. Thank you all. xeightballx for a tutorial video. Without you, This mod would have never created.